"a riveting, always-surprising and delightful trio"
"avid (rabid?) supporters of new compositions and emerging composers"
'These more experimental concerts are opportunities to push out boundaries, shake off the doldrums and try new things." "all its [Iannis Xenakis's Okho] bombastic bravado punctuated with pin-point perfect entries that can only come from years of playing together"
"an internationally-touring ensemble with a burgeoning audience that has received critical acclaim and now stands among the most sought-after collaborators on Austin’s arts scene"
"explorers in the realm of rhythm and aural texture"
"every performance of line upon line's that I've heard has been compelling"
'The notion of Teodori, Faulk, and Bedell as explorers isn't exactly original, but it bears repeating after a program like first, which featured four new works, every one of them experimental and boundary-pushing in some aspect." "the premier new music percussion ensemble in Texas and the South"
"Watching LUL reminds me of my rock band days when we’d get home from a tour flush with road chops, except that these guys play like this all the time." Percussion trios by time-honored composers. 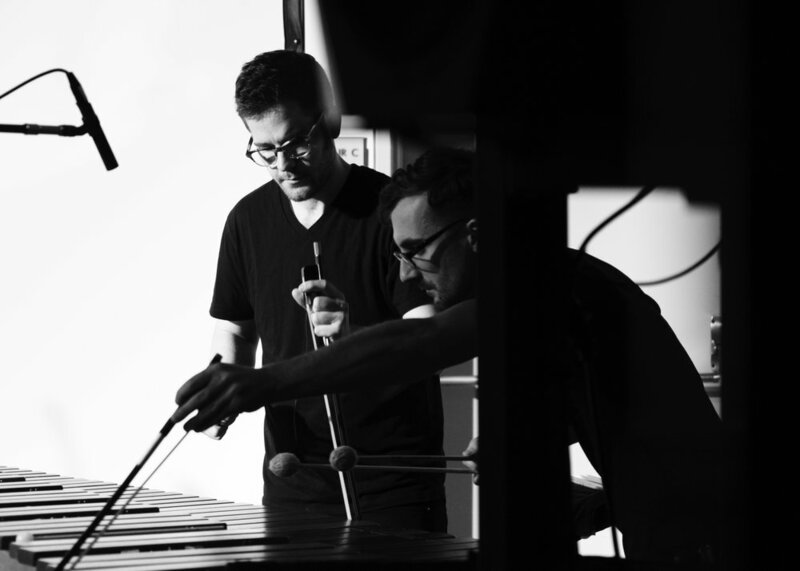 Our favorite percussion trios from this century. Two extraordinary trios by an ascending French composer. Works written specifically for line upon line. A 20th-century masterpiece by “America’s greatest living composer” (The Village VOICE). 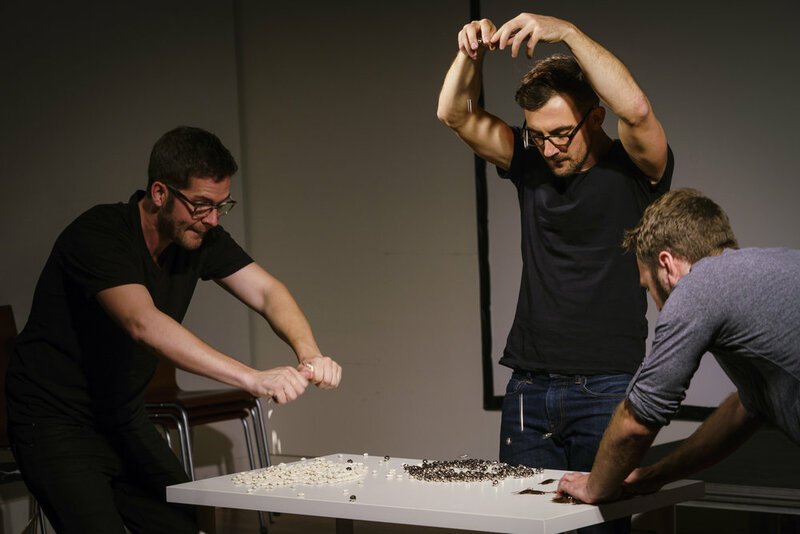 Premiering in Austin and Melbourne, Australia in Spring 2020, KILN is an evening-length work by 2018 Ernst von Siemens Composer Prize winner Timothy McCormack for line upon line and ELISION, one of the world’s preeminent new music ensembles.